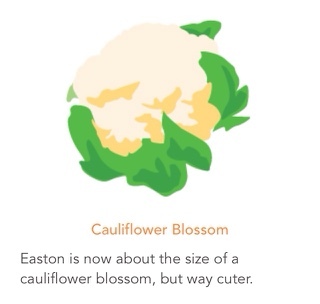 Easton is 33 weeks along today and things are going great! This app is so weird. It does make me laugh though! 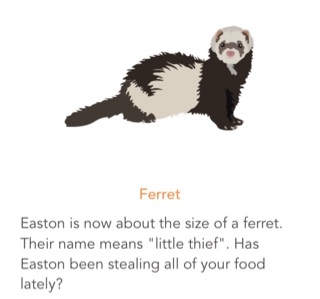 I love that the littles always want to see the app and how big Easton is. It’s fall break and I am in full blown nesting mode. Just in the first 4 days of this week I have gotten so much accomplished. It feels really good and I still have a long list to tackle before I go back to work. It’s crazy to think that once I go back we could possibly only have 6 weeks or so before he arrives! Of course that’s if he hangs in there until his due date and I have this feeling he won’t. My husband has also been tackling so much. Like…. 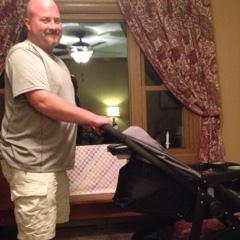 Getting the car seat and stroller put together. The nursery is almost done. Just a few things to hang on the wall! 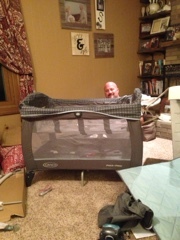 I’m going to save nursery pics for later. 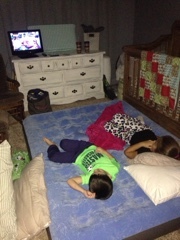 Here’s kind of a sneak peak with the littles and their camp out last night. 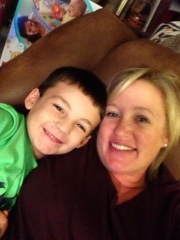 Another reason I love fall break is more time with them! Cuddles with this boy too. He loves to rest his arm on my belly and Easton usually kicks at him. My to do list for the next few days consists of celebrating my brother’s wedding, organizing the kitchen to make room for bottles and baby stuff, writing up a birth plan, and packing a hospital bag. Oh….and naps any and every day I want.